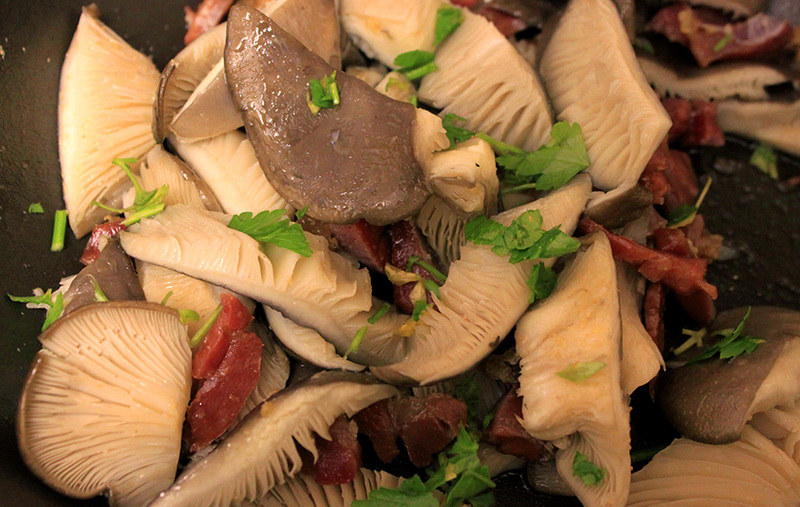 “Mushroom & ham stir fry” is a very simple yet delicious dish commonly served in Spanish bars as a tapas dish. The mushrooms are delicious served on their own, but there is no reason why they could not also be piled on toast for a cheerful breakfast. The dish has a nice garlicky taste where the juices of the mushrooms meet the fat of the Serrano ham blending together into a perfect marriage. Pancetta can work as a substitute when the ham is not locally available. The traditional recipe normally adds eggs on the equation, but I just prefer this way.